cinematic stories featuring fretless electric bass guitar. electric fretless bass guitar for documentaries, television and film. 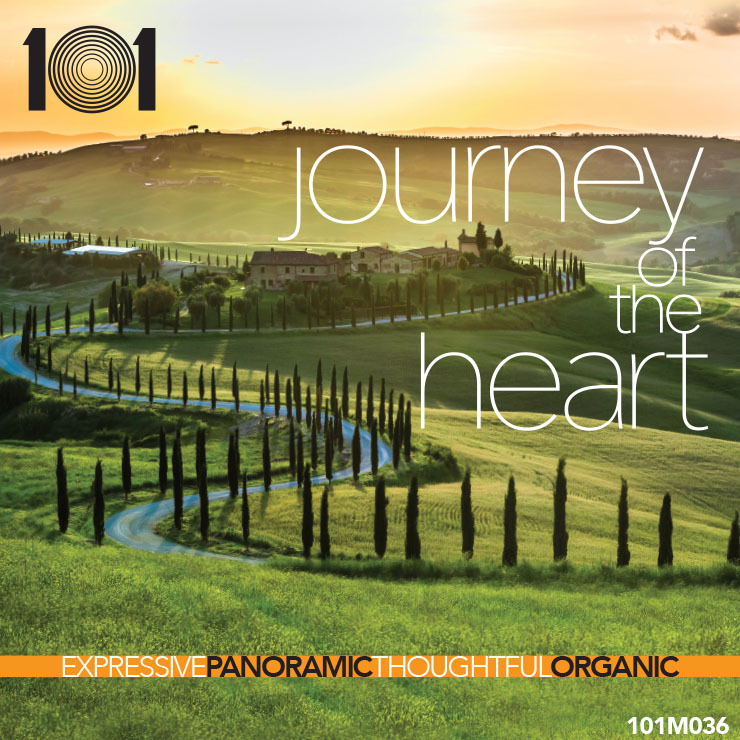 Journey Of The Heart / 101M036 was composed by renowned musician and composer Leon Gaer. Originally from Los Angeles, Leon Gaer is a professional bass player whose recording credits include Gino Vannelli’s “Brother to Brother” (Platinum in the USA, 1 million copies sold), Barry Manilow’s “Here Comes The Night” (Gold in the USA, 500,000 copies sold), Barry Manilow’s “A Touch More Magic” (Gold in the UK), as well as recordings for Demis Roussos, José Feliciano, Barry White, Krokus, Maria Muldaur, De Barge, The Stylistics, Tommy Emmanuel, Don Ellis and The Chad Wackerman Group. Some of the artists Leon has performed with in concert include Aretha Franklin, Petula Clark, Neil Sedaka, Barry Manilow, Sonny Rollins, Idina Menzel, Elaine Paige, Russell Watson, Rajaton and Sadao Watenabe. 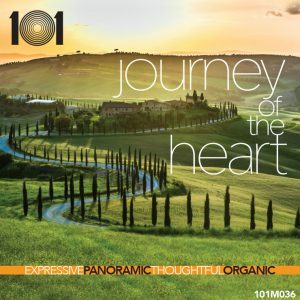 “Journey Of The Heart” was specifically composed by Leon Gaer for a select ensemble of first call studio musicians featuring Leon Gaer on fretless electric bass guitar, Bill Risby on grand piano, Fender Rhodes and Wurlitzer electric piano, David Longo on electric and acoustic guitars, Art Phillips on electric guitars (on “Poignant Times”), and Gordon Rytmeister on drums and various percussion. Whilst the human soul can feel and express many varied emotions, this project takes the listener through a selection of heartfelt emotional compositions. “I have always felt that the delicate yet powerful sound of the fretless electric bass guitar is a hidden treasure, and have wanted to reveal it as a lead instrument in original compositions. When the arrangements are carefully voiced with other instruments, the sound of this distinctive bass is rich, expansive and seductively expressive. “Another goal in writing and orchestrating this project was to keep the ensemble small but full, carefully crafting the voicings and instrument selections to produce a lush natural sound. “This project is beautifully mixed and mastered by Kathy Naunton of dB Mastering (Sydney, Australia)”. Leon Gaer – composer, arranger, producer and bassist. This is a special project for 101 Music Pty Ltd, a unique collection of original instrumental themes and textures for evocative cinematic story applications featuring the beautiful musicianship of Leon Gaer on fretless electric bass guitar. I am honored to share this wonderful work with you and your clients, and I trust that you will find successful placements for this copyright whether it be for documentaries, television, film or anything to do with expressive, panoramic, thoughtful and organic storylines and images.